One of the largest non-profit senior housing providers in the U.S. has plans to implement even more Amazon Echo devices into its communities after undertaking two successful pilot programs earlier this year. Ascension Living, the senior services arm of St. Louis-based health system Ascension, implemented dozens of Amazon Echo Show and Echo Dot devices in two separate pilot programs at its Sherbrooke Village and Lansdowne Place communities in St. Louis. Ascension’s senior housing portfolio includes 51 communities in 12 states and Washington, D.C. Some experts in the senior living industry believe voice-activated tech could be the future of senior living. Already, large providers—such as Glendale, California-based Front Porch—are experimenting with the technology. Still, others say voice-activated tech, as novel as it is, isn’t quite ready for prime time. 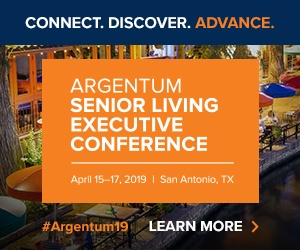 Ascension’s pilot programs, launched in January and April, were meant to assess the feasibility of implementing voice-activated devices in senior housing, particularly in high-acuity settings. Assisted living and skilled nursing residents used a custom “skill” on the Amazon devices to listen to music, learn what’s on the menu for lunch or dinner, or check the activity schedule for the day. During the initial 30-day pilot, four residents used their Echo devices about 10 times a day, on average. Then, during the second 60-day pilot, dozens of residents used their 70 devices about five times a day, on average. Both pilots served as an “eye-opener” for the senior living provider, according to Sneha Patel, chief information officer for Ascension Living. While the most recent pilot ended in June, many of those residents are still using the voice-activated devices, Patel added. Later this year in the fall, Ascension plans to implement Amazon devices in the independent living wing of Alexian Village, a continuing care retirement community (CCRC) in Milwaukee. In the meantime, the nonprofit’s developers are working on adding new features such as memory games, and new ways to call family members or loved ones. Ascension is also working out a model for charging residents for the service in order to make it cost-neutral.